With so many roofing materials on the market, it can be a challenge to choose one when yours needs to be replaced due to wear or damage. Cedar shakes are becoming a more popular option for homeowners who want long-lasting quality and a particularly natural look that is prized for some home styles. Even though there are many benefits to cedar shake roofing material, there are also disadvantages to consider. When a property owner first considers a cedar shake roof, they might get the idea from a home magazine or website and be stunned by the beauty of this material. New cedar shake roofs are warm brown with a natural, uneven look that gives the home a historic appearance instead of the mass-produced look of plain asphalt shingles. Over time, cedar will weather to a silvery gray tone that is equally attractive. Cedar shake roofing material has many more benefits than just good looks. It is 100% natural, though it may be treated with chemical preservatives or fire retardants. Cedar is lighter in weight than other options, but that does not mean it is flimsy or offers little protection to the people who live under it. It is a very environmentally friendly roofing option because of its natural source and because of how it improves energy efficiency in the home. Your heater will not have to work as hard in the winter to keep things toasty and warm, and your air conditioning can likewise run less often in the hot summer months. Cedar shake roofs are also less likely to be badly damaged by hail, wind, and rain… even hurricanes. As long as each shake is properly affixed to the roof, the sturdy material tends not to fly off like thinner, flexible asphalt shingles, or crack and break like clay or slate. 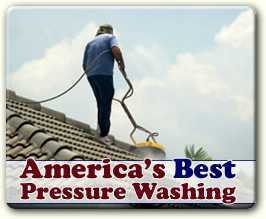 All good things have a price, and cedar shake roofs tend to cost more than other options. For example, regular asphalt shingles can cost as much as $75-$150 per 100 square feet, while cedar can cost $300-$500 for the same space. Clay and slate still surpass the price of cedar shake materials considerably, however. Cedar shake roofs also require more maintenance than other options. Since the material is all-natural, it has a greater propensity to have problems with insects, mold, and moss growth. There are treatments that help prevent these things, but periodic power washing may be necessary as well. Also, even though many wooden roofs have either a spray-on or wipe-on fire retardant, it is not as effective as other materials at stopping house fires. 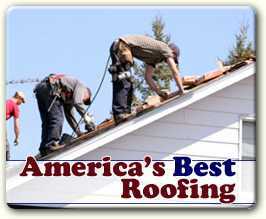 The final decision about whether a cedar shake roof is right for you depends on many factors. Some people do not like a roof that changes color over time, and others may be worried about the possibility of mildew growing overhead. Still, quality cedar shakes are an attractive, energy-efficient option that is resistant to most severe weather.